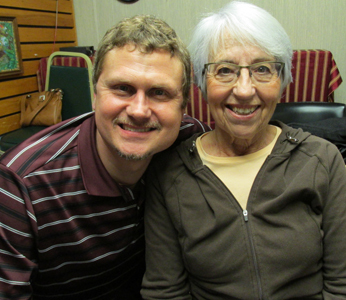 Hanson Food Pantry Director Sharon Kennedy and long time volunteer Scott Baker are guests during this segment of Monday Night Talk! Sharon and Scott talk about the work that's done to help families in need. For more information about the organization, visit their website, www.hansonfoodpantry.org/. Do you have an topic for a future show or info on an upcoming community event? Email us at mondaynighttalk@gmail.com or "like" and post a comment on our Facebook page: www.facebook.com/mondaynighttalkon959fmwatd. If you're a fan of the show and enjoy our segments, you can either download your favorite segment from this site or subscribe to our podcasts through iTunes today! © Monday Night Talk with Kevin Tocci - 2016. Unauthorized use and/or duplication of this material without express and written permission from the show host and/or owner is strictly prohibited. 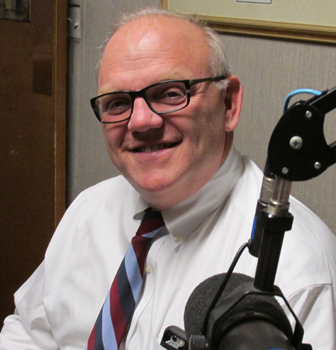 Father Bill's & MainSpring CEO/President John Yazwinski is a guest on this segment of Monday Night Talk! John discuss the work that Father Bill's & MainSpring is doing to help the homeless on the South Shore as the weather gets colder, the ongoing projects to provide more housing, especially for veterans. For more information about the organization, visit their website, helpfbms.org. Do you have an topic for a future show or info on an upcoming community event? Email us at mondaynighttalk@gmail.com or "like" and post a comment on our Facebook page: www.facebook.com/mondaynighttalkon959fmwatd. If you're a fan of the show and enjoy our segments, you can either download your favorite segment from this site or subscribe to our podcasts through iTunes today! © Monday Night Talk with Kevin Tocci - 2016. Unauthorized use and/or duplication of this material without express and written permission from the show host and/or owner is strictly prohibited. 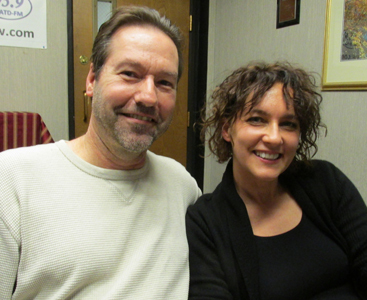 Jeff and Ilene Hills, owners of Health Appetites in Plymouth and hosts of WATD's All Things Food & Health are guests on this episode of Monday Night Talk! Jeff and Ilene provide insight into ways to staying healthy this time of year, plus they share their plans for the Thanksgiving Day holiday. Do you have a topic for a future show or info on an upcoming community event? Email us at mondaynighttalk@gmail.com or "like" and post a comment on our Facebook page: www.facebook.com/mondaynighttalkon959fmwatd. If you're a fan of the show and enjoy our segments, you can either download your favorite segment from this site or subscribe to our podcasts through iTunes today! © Monday Night Talk with Kevin Tocci - 2016. Unauthorized use and/or duplication of this material without express and written permission from the show host and/or owner is strictly prohibited. 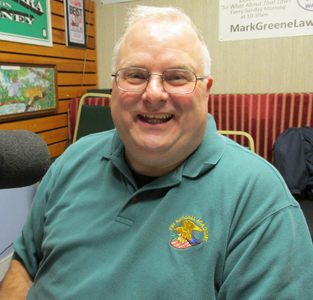 Plymouth County Sheriff Joe McDonald is a guest during this segment of Monday Night Talk! The Sheriff, who was re-elected on November 8, talks about what he will look to do during his third term. He also shares his thoughts on the legalization of recreational marijuana and what challenges it poses for the state. Do you have a topic for a future show or info on an upcoming community event? Email us at mondaynighttalk@gmail.com or "like" and post a comment on our Facebook page: www.facebook.com/mondaynighttalkon959fmwatd. If you're a fan of the show and enjoy our segments, you can either download your favorite segment from this site or subscribe to our podcasts through iTunes today! © Monday Night Talk with Kevin Tocci - 2016. Unauthorized use and/or duplication of this material without express and written permission from the show host and/or owner is strictly prohibited. Actor Larry Thomas is a guest on this episode of Monday Night Talk! 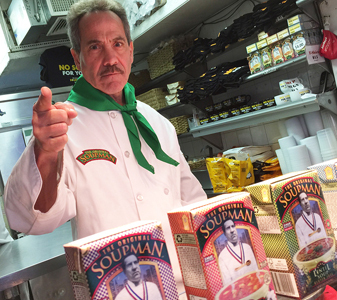 Larry, best known as the Soupman, who coined the phrase “No Soup For You” on the famous Seinfeld episode, discusses the legacy behind The Soupman Fame, talks about the soup brand he's promotng, plus other projects that he has in the works! Do you have a topic for a future show or info on an upcoming community event? Email us at mondaynighttalk@gmail.com or "like" and post a comment on our Facebook page: www.facebook.com/mondaynighttalkon959fmwatd. If you're a fan of the show and enjoy our segments, you can either download your favorite segment from this site or subscribe to our podcasts through iTunes today! © Monday Night Talk with Kevin Tocci - 2016. Unauthorized use and/or duplication of this material without express and written permission from the show host and/or owner is strictly prohibited. 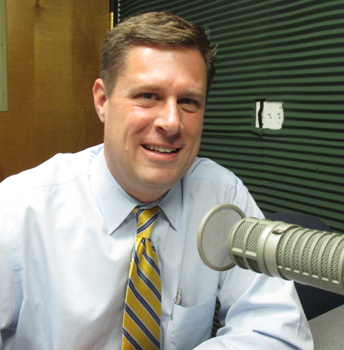 State Rep Geoff Diehl is a guest during this segment of Monday Night Talk! Rep Diehl, who is also the chairman of Donald Trump's Massachusetts presidential campaign, talks about the November 8 election results and what happens moving forward. Do you have a topic for a future show or info on an upcoming community event? Email us at mondaynighttalk@gmail.com or "like" and post a comment on our Facebook page: www.facebook.com/mondaynighttalkon959fmwatd. If you're a fan of the show and enjoy our segments, you can either download your favorite segment from this site or subscribe to our podcasts through iTunes today! © Monday Night Talk with Kevin Tocci - 2016. Unauthorized use and/or duplication of this material without express and written permission from the show host and/or owner is strictly prohibited. 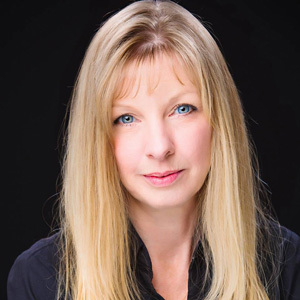 Private investigator Michelle Littlefield is a guest on this segment of Monday Night Talk! Michelle calls into the program to discuss the annual walk to retrace the steps of Jennifer Lynn Fay who has been missing for twenty-seven years. Fay went missing six weeks shy of her 17th birthday from the very neighborhood she had lived in her entire life. Michelle also talks about strides that have been made since the investigation was reopened several years ago. Do you have a topic for a future show or info on an upcoming community event? Email us at mondaynighttalk@gmail.com or "like" and post a comment on our Facebook page: www.facebook.com/mondaynighttalkon959fmwatd. If you're a fan of the show and enjoy our segments, you can either download your favorite segment from this site or subscribe to our podcasts through iTunes today! © Monday Night Talk with Kevin Tocci - 2016. Unauthorized use and/or duplication of this material without express and written permission from the show host and/or owner is strictly prohibited. Pictured left to right; Michelle Littlefield and Jennifer Lynn Fay. 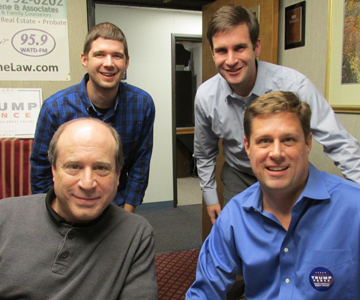 It's and Election Eve roundtable with State Representative Geoff Diehl. Southeastern Vo-Tech School Committee member Mark Linde, Alex Bloom from O'Neill & Associates, Joe Rossi and former Massachusetts State Treasurer Shannon O'Brien. The group talks about local state representative, county and congressional races, plus the four questions on the Massachusetts ballot and who might be the next President! Do you have a topic for a future show or info on an upcoming community event? Email us at mondaynighttalk@gmail.com or "like" and post a comment on our Facebook page: www.facebook.com/mondaynighttalkon959fmwatd. If you're a fan of the show and enjoy our segments, you can either download your favorite segment from this site or subscribe to our podcasts through iTunes today! © Monday Night Talk with Kevin Tocci - 2016. Unauthorized use and/or duplication of this material without express and written permission from the show host and/or owner is strictly prohibited. 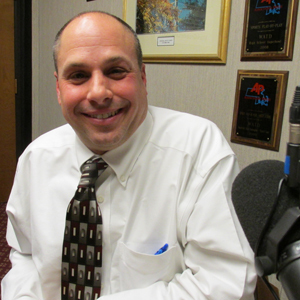 Plymouth County District Attorney Tim Cruz is a guest during this episode of Monday Night Talk! DA Cruz discusses a Massachusetts ballot question, if it does pass, would legalize the recreational use of marijuana. Do you have a topic for a future show or info on an upcoming community event? Email us at mondaynighttalk@gmail.com or "like" and post a comment on our Facebook page: www.facebook.com/mondaynighttalkon959fmwatd. If you're a fan of the show and enjoy our segments, you can either download your favorite segment from this site or subscribe to our podcasts through iTunes today! © Monday Night Talk with Kevin Tocci - 2016. Unauthorized use and/or duplication of this material without express and written permission from the show host and/or owner is strictly prohibited.